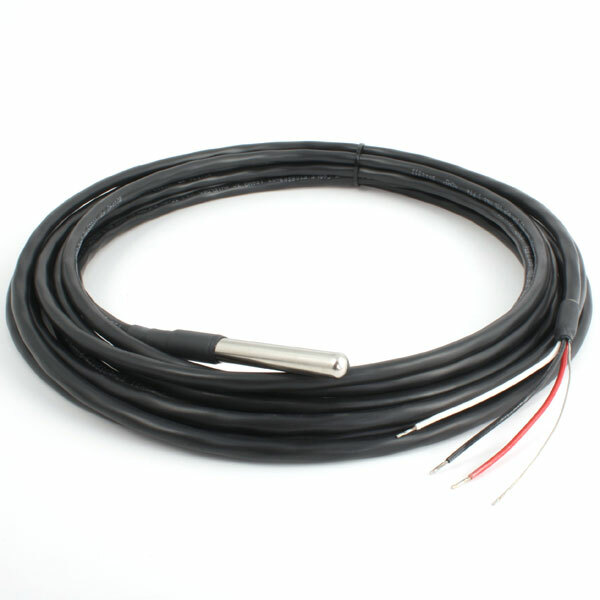 The 210-301 Temperature Sensor is a three-terminal integrated circuit sensor whose output voltage is linearly proportional to the Fahrenheit temperature. 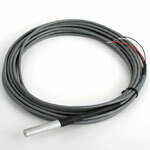 The 210-301W Water or Soil Temperature Sensor utilizes the same sensor electronics with a stainless steel probe housing and direct burial cable. The 210-301 Temperature Sensor is a three-terminal integrated circuit sensor whose output voltage is linearly proportional to the Fahrenheit temperature. This sensor does not require any external calibration or trimming to provide typical accuracy of ± 0.5°F at room temperature and ± 1.5°F over the full 0-120°F temperature range. It operates from 5-30 Vdc and has a linear 10mV/°F output. With a common reference to input and output, it easily interfaces with most data loggers and outputs a direct reading analog output, i.e. 0.8 Vdc = 80°F. The 210-301W Water or Soil Temperature Sensor utilizes the same sensor electronics with a stainless steel probe housing and direct burial cable. Shipping data not found, please call for more information.